The new year fast approaches, and if you’re living large in some of grandest Los Angeles luxury homes, now’s the time to get a head start on the hippest interior design trends that will be dominating 2019. Strict minimalism and utilitarianism might have been hot tickets in years past, but next year seems poised for more traditional and classic approach to furniture choices, materials, finishes, colors, and more. 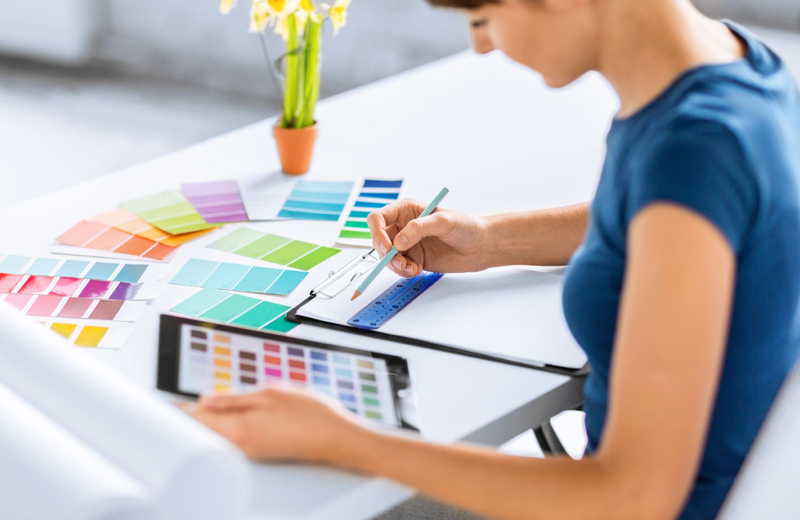 Ready to learn what you should be prepping for to keep your home at the cutting edge of fashionable design? Keep reading, as we explore the newest looks that will captivate in 2019. Colors hold a lot of power within the world of design. It makes sense, then, that they’d play a big part in the coming year’s design trends. In recent years, pastel colors and jewel tones have been dominating the scene in a big way, but 2019 might spell a return to basics with bold and simple primary colors making a resurgence. Powerful reds and yellows can make just about any space scream with vivacity, and in kitchens particularly, you should prepare yourself for a proverbial “blue wave.” Specifically, Navy Blue is going to be high on the favored color lists for kitchens, so if you’ve got the time for a quick kitchen makeover, be sure to incorporate this color as best you can. Mind you, this doesn’t mean that other colors won’t have their place in your home. Neutral colors and rich earth tones can add some welcome contrast here and there; make an effort to add these into the mix when you’re planning your room-by-room color schemes for 2019. It’s interesting to note that while “basic” colors themselves might be making a return, something of the opposite is going on as far as overall style and furniture choices are concerned. Get ready for an influx of modern takes on retro fashions, including the always-impressive art deco and boho looks. The former, you’ll note, is marked by bold geometry, bold colors, and a glitzy, metropolitan mystique. Zigzag lines and unusual shapes will be your guide here, and you can incorporate details from the art deco fashion into tables, chairs, lighting, and pretty much any piece of furniture you’ll want to include in your space. As for the latter, the Boho style has always been around in one form or another, but this coming resurgence promises to turn up the charm and whimsy this charismatic look is so well-known for. If fun and playful are your thing, you’ll be able to go wild here and really express your personality through your interior design choices. Using natural fabrics, in a way signifies a balance between the modern existence and longing for something more relaxed and basic. Sure, you’re chic and metropolitan, but by including some natural fabrics into your furniture and other home items, you’ll have a way of showing you’re also in touch with a slightly deeper part of your humanity. You’re probably already used to sending guests a message about your style and personality through the color choices you pick for your wall, but have you ever thought about doing the same with the ceiling? For so long, the plain white ceiling has been a staple, but in 2019, it might be time to mix it up and say a little something more. You can go basic with some of those bold colors we mentioned earlier, or you could even elect to go with a funky wallpaper along with some inventive lighting choices to make that statement even stronger. In addition to adding some personality, the right choices on your ceiling can help you control how large and bright each room in your home feels — a definite plus no matter where you’re living. Rarely has there ever been a time when having a few plants in the home wasn’t a great idea. This coming year, turn it up a notch and really “go green” inside your home. The myriad ways you can include plants into your decorating are numerous, and no matter which you choose it’ll be a welcome addition to your space. You could, for example, just set out a table near a window and pack it full of as many potted plants as you can muster. The green glow will be an instant conversation starter and will make your home feel more alive than ever before. Alternatively, you might try some hanging planters to suspend your plants of choice from the walls or ceiling, allowing you to place them more strategically around the house. Last, but certainly not least, there’s always the option to “go big or go home.” Giant plants that can rest nowhere but the floor are bold, eye-catching, and feel surprisingly relaxing when you place them next to your favorite reading chair and settle down with a good book. Either way, be sure not to overlook some vibrant flora in your 2019 decorating schemes. There’s no question, beautiful apartment locations like Eighth & Grand are primed and poised for you to include some new design trends, as they’ve already got a fashionable look to them that’s tailored to impress. Adding to the aesthetic are its lovely downtown location and beautiful common spaces offering the very best in resident conveniences. The fact that each unit is spacious to boot is just a little more icing on this proverbial cake, and if it sounds like the type of place you’d be interested in, be sure to learn more about the lifestyle Eighth & Grand can offer you, and how you can secure a place of your own in this downtown urban paradise.